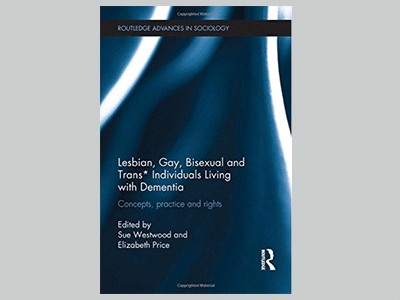 Our edited collection ‘Lesbian, Gay, Bisexual and Trans* Individuals Living with Dementia’ has recently been published by Routledge. But why a book about lesbian, gay, bisexual and trans*1 (LGBT*) people and dementia? What makes their experiences of dementia different from those of anyone else? While LGBT* people living with dementia will share many of the experiences and concerns of non-LGBT* people living with dementia, theirs will also be informed by gender, sexuality/sexual identity and gender identity, and the social marginalisation associated with each of these intersecting social positions. Their experiences and concerns will also be informed by the readiness, or not, of services providers to recognise, understand and be equipped to meet the needs of LGBT* people. Sadly, evidence suggests that dementia service providers are under-prepared to meet their needs, being ill-informed at best, and prejudiced at worst. Older LGBT* people are acutely aware of this, many having supported loved ones with dementia, and having seen first-hand how services have failed to address issues of sexuality and/or gender identity, both in the present and in terms of a person’s historical narrative. As a consequence, they are very fearful of needing to access such services themselves. This book (which Murna Downs calls ‘groundbreaking’) highlights the issues which are involved. We recommend it to anyone who is interested in understanding more about this under-addressed area of diversity and dementia. 1Trans* is an umbrella term which covers the gender identity spectrum: including (but not limited to) transgender, transsexual, transvestite, genderqueer, genderfluid, non-binary, genderless, agender, non-gendered, third gender, two-spirit and bigender. Dr Sue Westwood is a socio-legal and gerontology scholar with expertise in ageing, genders and sexualities in regulatory contexts. Her book Ageing, Gender and Sexuality: Equality in Later Life and co-edited collection (with Dr Elizabeth Price) Lesbian, Gay, Bisexual & Trans* (LGBT*) Individuals Living with Dementia: Concepts, practice & rights were published by Routledge in 2016. 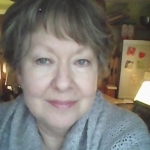 She is now working on a new edited collection, Ageing, Diversity & Equality, also to be published by Routledge, as well as co-edited collections Minding the Knowledge Gaps (with A. King, K. Almack, and Y.T. Suen, Routledge) and Intersections of Ageing, Gender and Sexualities (with A. King, Policy). She is also co-editing (with T. Wathern) a special issue of the journal Housing Care and Support entitled ‘Housing, Care and Support for Older Lesbians, Gay, Bisexual and Trans* People’. Aging as the Journey to Life?